…in my glass of wine. I just came back from a 2 weeks holiday in the south west of France, in the region of Aquitaine to be more precise. The region is well known for it’s coast and it’s waves, ridden by the greatest surfers on earth, for it’s “ferias” (massive town parties) and of course for the wines of Bordeaux. It was my first time in the region and typically I had heard all kinds of good things and bad things about it. The main purpose of my stay was to visit the region and taste wines made by small winemakers. 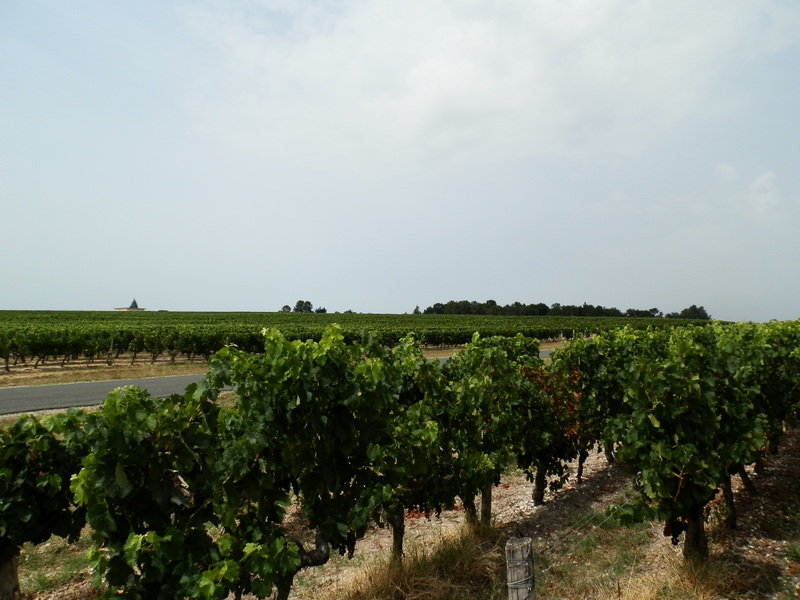 So here is my point of view of a tourist visit in the wine region of Bordeaux. At the beginning of my journey, I was hoping for the dream holiday: visiting the villages of Margaux, Sauternes, Pauillac, St Emilion etc., enjoying the landscape and tasting great wines. The reality was quite different and my first disappointment came from the villages. 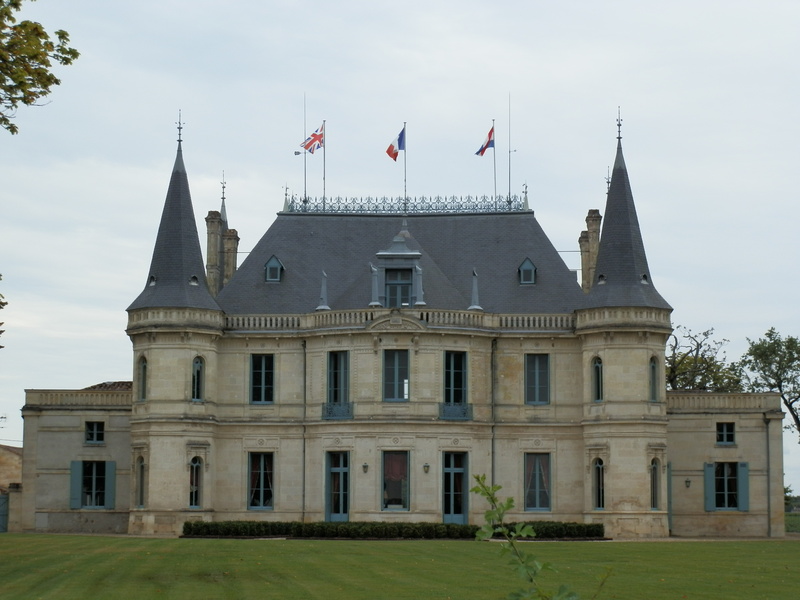 As we all know, Bordeaux is all about the “Château” and concretely it means that during the 19th century there was a “competition” amongst the richest winemakers of the region as to who would build the biggest and more beautiful château. Because of this, there’s a feeling that no money was invested in the villages, that there is no history behind them and that, nowadays, very few people live in the villages of Margaux, Sauternes, etc. and there’s clearly nothing to visit there. Exception made for St Emilion, which has been classified as UNESCO world heritage and is a very pretty village, where it’s pleasant to take a walk and you feel that there’s some history behind it (such as the history of Saint Emilion). My second disappointment came from the landscape. Unfortunately, by travelling around the region you can easily feel that vines are all they need to make money and all you can see are kilometres and kilometres of vineyards. I know, it may sound strange, but I tend to believe that the vine needs to grow in an ecosystem and that biodiversity should be part of it. So feeding the people with some local grown apples or whatever can grow in the region wouldn’t be too bad for the economy and for our eyes. My third point is about wine tasting and (at least) there’s no disappointment there! Au contraire, I visited independent winegrowers producing organic and non-organic wines and I’ve had some very nice surprises. The winegrowers are very welcoming, always willing to give you a tour of their vineyards and cellar and explaining you the way they make their wines. And the wines of course are up to the level of reputation of the region, full-bodied with complex aromas. From my tastings I would highly recommend Château Lusseau in the district of Graves and Château Tonneret from St Emilion. So, to conclude, if you’re passionate about wines go to Bordeaux for the wine tasting and make the most out of it by visiting independent and small winegrowers that won’t export or sell their wines in a supermarket. But from a tourist point of view you’d rather visit some other wine region like Alsace or Tuscany, you’ll taste some wonderful wines and you’ll come back with beautiful pictures. If you have visited the region of Bordeaux, what is your overall point of view? 05 Sep	This entry was published on September 5, 2012 at 7:54 pm. It’s filed under Countries, France, Learn More, Old World Wines and tagged bordeaux, château lusseau, château tonneret, france, learn, visit bordeaux, wine. Bookmark the permalink. Follow any comments here with the RSS feed for this post. Great write-up! I like the shout out to Alsace—I would also include Burgundy and the Loire! Thanks! You’re right, I haven’t had the chance to properly visit those regions yet. But it’s on my list!